It’s safe to say that I am now hooked and it’s the first place I go to for finding something unique and original. It’s also great for those on a budget as you can find much cheaper alternatives so you can save your pennies to spend on your adventures instead. On my recent trip to Iceland in April I found a fab apartment and I took so many photos that I figured I may as well share all the juicy details with you here. Y’know, just in case you end up looking for somewhere to stay too. We also used Air BnB in Rome, and I’ll be sharing that one soon also. But do you know what, Iceland is totally worth it. If you’ve read my Iceland blog posts you’ll see why. It’s an experience like no other and I can’t wait to return to explore more. When searching for our accommodation I struggled to find anything I considered a bargain, but I did find this cute apartment which I believe was actually very reasonable. Take a full peek right here at Matador Apartments and if you decide to book, use this link to get £25 Air BnB credit 🙂 This also applies to any booking you make… bonus! Excellent location, clean, lovely owners, spacious, and my son and I would have our own rooms. I was not going to be sharing with a smelly teen and I’m pretty sure he’d not fancy sharing with me either! Win-win. First of all, when I booked this, within 10 minutes I had an email from Dýrleif and Thorunn who are the owners and hosts of the apartment. They actually own the whole block and completely refurbished all the apartments in 2016, which is evident from how nice everything is. The email was so warm and welcoming. It included a list of food recommendations, links to tours they’d done, places to enjoy jazz music. Festivals and happenings on certain dates, where to shop… honestly, I don’t think I’ve received a more helpful booking confirmation. Right off Laugavegur (main shopping street) with supermarkets nearby. Two minutes up the road there is a pizza place, which we ate at and loved. A Noodle bar (cheap option), cafe/bookstore, bars, hotels and more. On our first day we went Whale Watching (go read and see photos of whales here) and it took around 20-25 minutes to walk to the Harbour. Hallgrímskirkja, the landmark church is only five minutes away and you can spot it poking its pretty tower out through the apartment windows too. All the tour guides knew where we were immediately and we both thought the taxi driver recommended by our hosts, Jon, was just brilliant! He inspired my 23 random facts about Iceland post as he told us so much about his beloved country. It truly was a convenient location and we couldn’t have wished for anything better. The WiFi was strong, the laundry room was super convenient for when you come home wet and muddy. The views were super cool, and the shower was constantly hot and very strong. The toiletries in the bathroom were lovely and high-end. I fell in love with the shampoo and conditioner so washed my hair a little more than I usually would, including 1 hour before we had to go home, just to make it last as long as possible! The kitchen even had coffee, sugar, crisps and lots of other little bits you wouldn’t want to buy if you were only staying for a few days. The floorboards were wooden and gave a warm cosy feel, the balcony was small, but you could sit out and enjoy the peace with a good book and a cup of your favourite drink if you fancied. Honestly, we wanted to see so much of Iceland, but it was sometimes difficult to leave such a beautiful space. 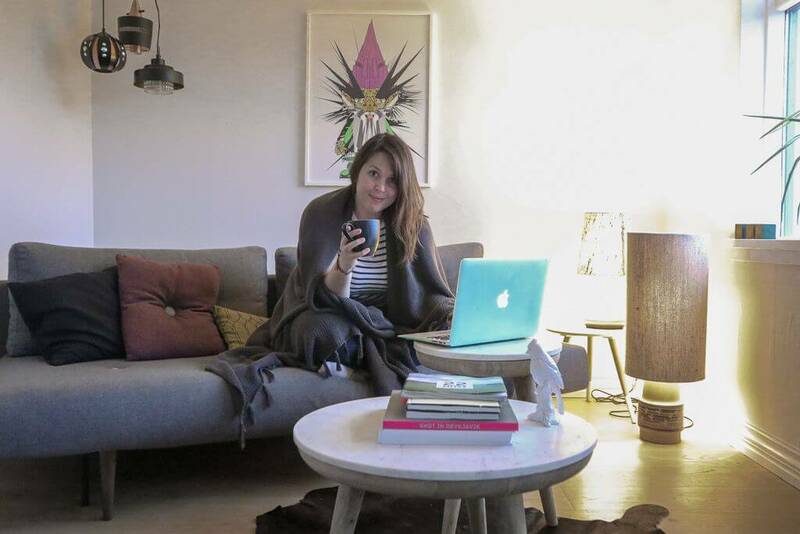 Are you an Air BnB regular or are you a newbie like me? Would you give them a try? Where have you stayed with Air BnB before? Let me know your favourite spots so I can save on my favourites list. "Reading – A Place I Finally Like!"